Electric Castle is an electronic, indie and rock music festival at Bánffy Castle, Romania. Wide-reaching eclecticism revels in unique and historic surroundings, with international artists streaming in from all over the world. For such a big festival, a sense of intimacy pervades the festival site, with different sections and stages harbouring their own special atmosphere. Lineups boast emerging and local talent alongside an impressive array of household names from across the musical spectrum, drawing all tastes together for a festival full of character and intrigue. 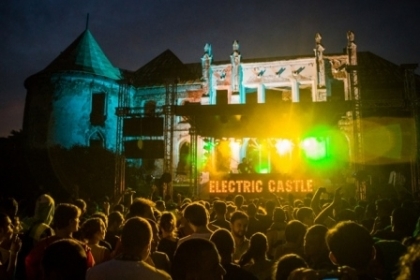 This festival deserves a spot on your bucket list without a doubt: Electric Castle in Romania. Expect a magical venue with multiple stages and chill zones, a strong lineup and a unique atmosphere. Ever since the first edition in 2013, Electric Castle has been nominated for ‘Best Medium Sized Festival’ at the European Festival Awards. The festival takes place at the spectacular Transylvanian domain of the Bánffy Castle, near Cluj-Napoca in Romania. 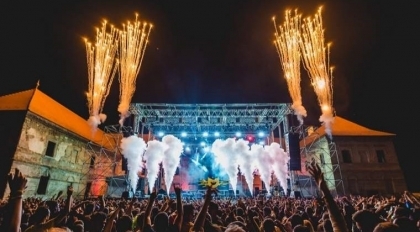 The four-day festival provides a unique experience full of music, technology and alternative art. The line-up features many different genres from rock, indie and hip hop to reggae and electronic music. Stay at one of the accommodations in Cluj-Napoca or make use of the festival campsite. Electric Castle 2018 will take place from 18 to July 22, 2018.